30 Litres Fuel tank capacity - sufficient for approx 10.5 hours operation. High efficiency air and fuel filters. Automatic flame failure cut out. Can use either diesel or paraffin as fuel. 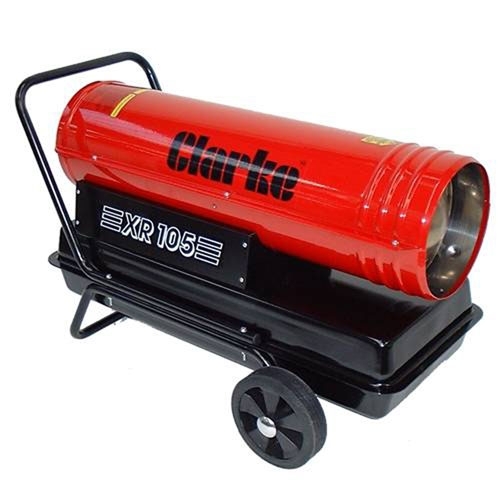 With its very high heat output of 29.3kw, the Clarke XR110 space heater can keep your employees in draughty warehouses warm. The unit is fitted onto a wheeled trolley to make positioning simple. The heater will run continuously for over 10 hours on one full tank, of either paraffin or diesel.